So…. I’m back. Fall break over. Halloween almost here… We are on the fast track to the count down till Christmas… (eeek…did that actually come out???) Yes. Blink and Christmas will be here. Anyway. My last post was from the hospital. I had all these plans to be super, awesome, blogger/card maker…. but in reality… I was doing good to get my teeth brushed. WAY COOL, HUH?? 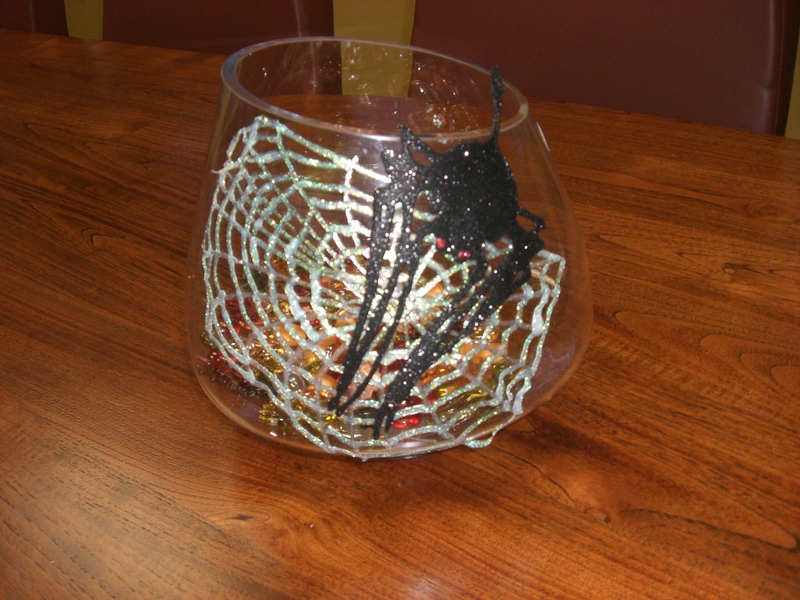 She made the web and spider by adding sparkly glitter and black glitter for the spider. Think of the spooky decor. And, for that matter, Christmas, New Years (fireworks??? ), and wow… if only I had more time in the day. So… I’m creating a late October New Year’s Resolution… to blog better. More. Consistent. Whatever. Stampin’ Up has given me a 6 months trial business developer (someone who calls me and helps me create, set, and accomplish goals, etc). and blogging better is one of my goals. So, hopefully we can make good on this resolution. And, to help this along… I’m going to be part of a blog hop!! Yay!! My first one! Of course, I’m hoping to have more posts before Nov 11, but just want to start promoting it. There will be 20 of us, and we will all feature the same stamp set. It should be very inspiring! !